Employment Bites and now HR Management Bites is a how to guide for anyone who works in HR. Rather than a text book, you’ll find real examples of how to apply HR in the real world, with practical suggestions, tools and techniques. First published in New Zealand in 2010 by HarperCollins, Employment Bites became a best seller. The UK edition was launched in 2017 and on in 2019 the global edition, renamed HR Management Bites will be released. Bite 1 What is HR? The good, the bad and the ugly. Bite 19 Recognition & Rewards: With or without a budget! Bite 22 Culture & Engagement: If you build it they will come…..
Angela Atkins is the author of the popular and helpful Management Bites which I reviewed in the November 2009 issue of Employment Today. The earlier book was aimed at line managers, breaking people management into easily digestible chunks and explaining how to do each step. It is a wonderful resource for an HR practitioner as you can use relevant sections of the book to help coach the managers you are working with. This new book has a different intended audience. It is written directly for the HR professional, to guide our own practice. As before, the book is divided up into individual sections, each covering a separate area of HR expertise and giving the basic “how to’s” of that topic. As I have a background in psychology and analysis, I am more than comfortable with the organisational development and HRIS/metrics side of human resource management. However, employment relations is an area I want to grow in technically, and I look for easy-to-read, straightforward guides to practice. This book is a perfect tool. It gives me a simple, no-nonsense approach to managing workforce performance issues and gives a sense of control in what is very often a chaotic environment. Another feature of the book is the use of developmental exercises. I found this really useful as it helped me to focus in on some areas that I need to focus on and grow. I recommend that you take the time to do these exercises as you will get the benefits. Whatever your strengths, and whatever your developmental needs in HR, you will find something to help you in this book. Written for the New Zealand employment environment, it is practical, warm and very human. 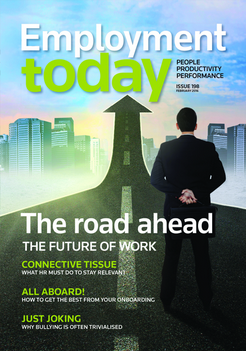 Go out and buy a copy for yourself and one for your HR group. While you are at it, add in a copy of Atkins’s earlier book (Management Bites) and you will have the perfect reference set. 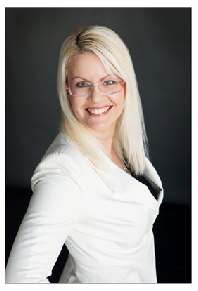 Angela Atkins has worked in HR and Learning & Development for over 20 years within local government, tertiary, retail, contact centres & the financial services sectors. In 2007 she co-founded Elephant Group. 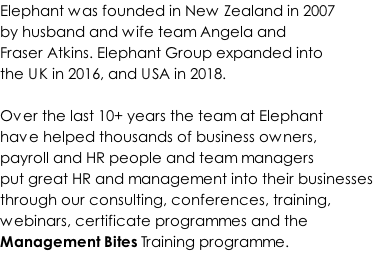 Elephant provide HR, payroll and L&D training and conferences. In 2016 Angela relocated to the UK to launch Elephant, and then in 2017 to California to launch Elephant in the USA. She now splits her time between the countries. Safety Bites: the bite sized guide to keeping people safe at work.